Diakon Adult Day Services at Ravenwood has received a $7,000 grant from National Lutheran Communities and Services to support subsidies for low-income adult day-care clients in 2017. “This is the fourth grant we have received from NLCS to support our services for older adults from the Hagerstown and Washington County areas and we deeply appreciate their support, which extends the community impact both organizations have,” says Anne Dottavio, manager of adult day services for Diakon Child, Family & Community Ministries. 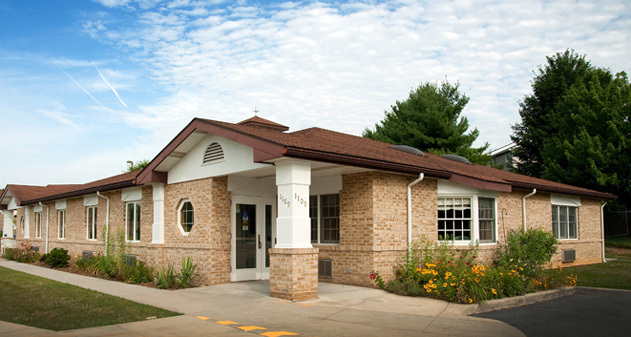 Located on the property of Diakon Senior Living – Hagerstown, The Ravenwood Campus at 1109 Luther Drive, Hagerstown, the center provides daytime assistance that allows older persons or those with disabilities to continue to live in their own homes or with family members. An alternative to other forms of care, Diakon Adult Day Services offers a safe, secure environment with a staff that includes registered nurses as well as certified nursing assistants, who provide daily care. The grant is one of 30 grants awarded by National Lutheran Communities & Services—a sister Lutheran-affiliated social ministry organization to Diakon—through its Community Impact Council, with funding for the period totaling $253,500. Based in Rockville, Maryland, NLCS serves people of all faiths within the church’s Delaware-Maryland, Metropolitan Washington, D.C. and Virginia synods. NLCS provides older adults with a variety of lifestyle, residential and health-care options through retirement communities and services in Maryland and Virginia.